In part 5 of this article series revolving around the available identity models and the authentication story for Exchange Online, our focus was on the Exchange Online authentication story as it was up until now. 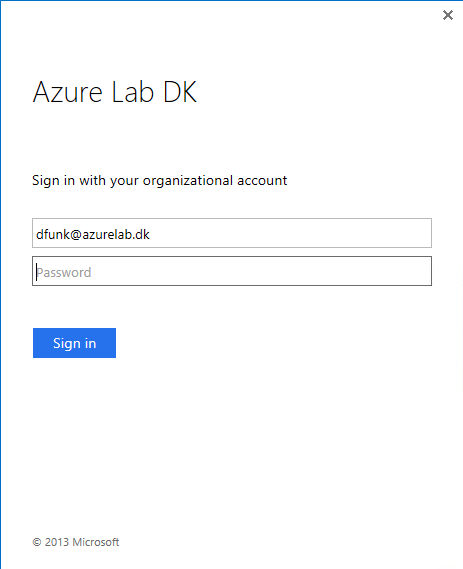 We took a closer look at what modern authentication consists of and how the authentication flow looks like for ADAL enabled Outlook clients. 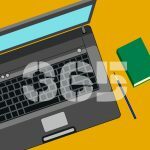 So as discussed previously in this article series, most of the Office 365 clients have already been automatically moved to the modern authentication model in an automatic fashion. However, in order to utilize modern authentication for ADAL based clients like the Outlook desktop client, one or two things (depending on the version of the respective Outlook client) must be performed. The first thing is to ensure modern authentication support is enabled in the Exchange Online tenant. It is not possible to enable modern authentication for ADAL based clients in Exchange Online using the UI. However, I was told some time ago that this will be possible via a simple knob sometime in the future. I have been asked quite a few times whether enabling ”OAuth2ClientProfileEnabled” will affect Outlook 2013 desktop clients that currently use basic authentication based authentication. The answer is no, this will not affect these clients as long as the required registry key (more on this key later) has not been set on the client machine. However, bear in mind that it would affect Outlook 2016 desktop clients as they will try to use modern authentication by default. I am mentioning this as organizations usually want to take changes like this one through a test run on a set of selected pilot users prior to enabling it for everyone in the organization. So if you use Office 2016 in your organization, you would want to disable modern authentication using the relevant registry key (more on this this key in the next section). The expectation from the Office 365 team is that customers will use the Outlook desktop 2016 in its default authentication mode, which as mentioned is modern authentication. 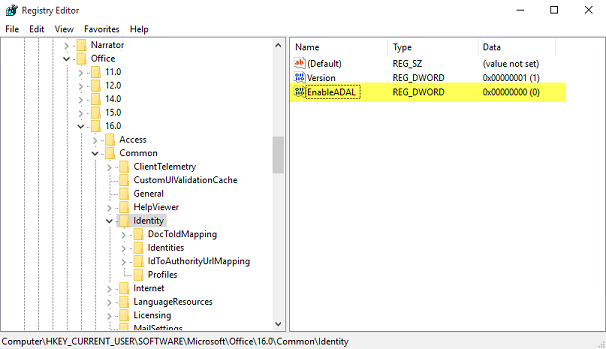 If you disable ADAL in the Outlook 2016 desktop client in order to use the old basic authentication method while modern authentication is enabled in the Exchange Online tenant, you can run into IDCRL related bugs. Hopefully these will be fixed in the near future, but needless to say, thorough testing is key. Ok so with the tenant side of things prepared, let us switch to the client side. So as I already mentioned, the only Outlook desktop versions that support modern authentication through the use of the ADAL component is Outlook 2013 and Outlook 2016. When ADAL is disabled, we get the “good” old basic authentication as shown in Figure 4. As you can see, the Outlook 2016 desktop client was clearly developed and tested with modern authentication in mind. Let us try to launch an Outlook desktop client, in this case Outlook 2016, but will be the same experience for Outlook 2013, to see how the experience is from the end user side. 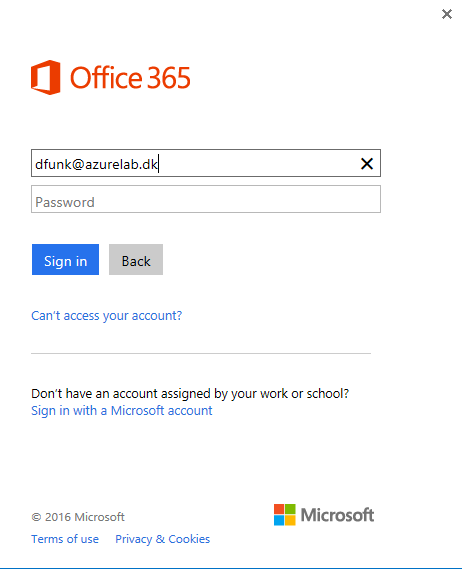 Instead of the old Outlook credentials dialog box, the end user will now see the modern login screen. Depending on the identity model used in your organization and whether end users are using a domain-joined client or not, the experience will differ. 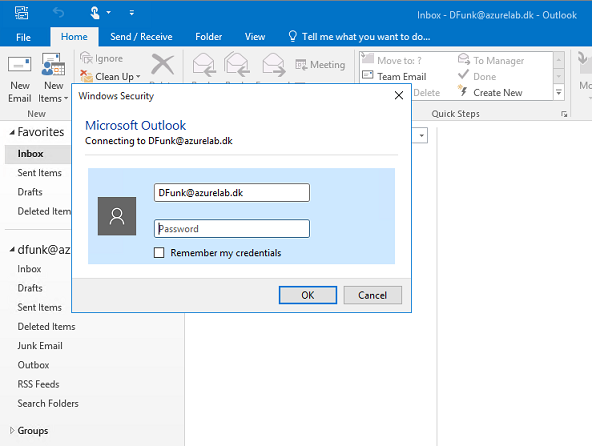 For the “Cloud Identities” and the “Synchronized Identities with Password Hash Sync Enabled”, the user will be prompted for credentials the first time they launch Outlook. But remember, it will only be the first time as the logon and refresh tokens will come into effect from there. So unless the client is not used for longer periods, the logon token will be refreshed using the refresh token in a transparent fashion meaning that the end user will not be prompted for authentication. If you use a “Federated Identities” model and the client is domain-joined, the end user will get a transparent login experience similar to the browser based Outlook on the Web client (OotW). If the client is not domain-joined, he will be presented with the AD FS login page as shown in Figure 5. This concludes part 6 of this multi-part article in which I provide you with an insight into the new Modern Authentication story and how it affects clients connecting to Exchange Online.